Microgrids have come to embody resiliency. However, in recently deployed and prospective projects, a mixed-ownership model is aligning microgrids with broader energy goals. In GTM Research’s recent U.S. Microgrids 2016: Market Drivers, Analysis, and Forecast report, GTM Research estimates microgrid market growth will exceed expectations as business model innovation continues to evolve with stakeholder interests. Demonstration projects and operational microgrids have proven their sweet spot is delivering reliable power during inclement weather. In fact, utilities are increasingly approaching the microgrid as a viable “non-wires” alternative to defer costly grid investments. In recently deployed projects, utilities generally cover project costs, including design, permitting, finance, construction and O&M -- subsequently leasing the facility to the end customer at a reduced price. Utilities are motivated by a desire to address local grid congestion on the distribution grid through fast-ramping resources, while end-customers desire guaranteed onsite generation for continuous electrical supply. Regulatory incentives and carbon-reduction targets support greater renewables penetration as much as falling solar and battery costs. The solar-plus-storage model has become an especially compelling option for project developers seeking to incorporate renewables alongside reliability. 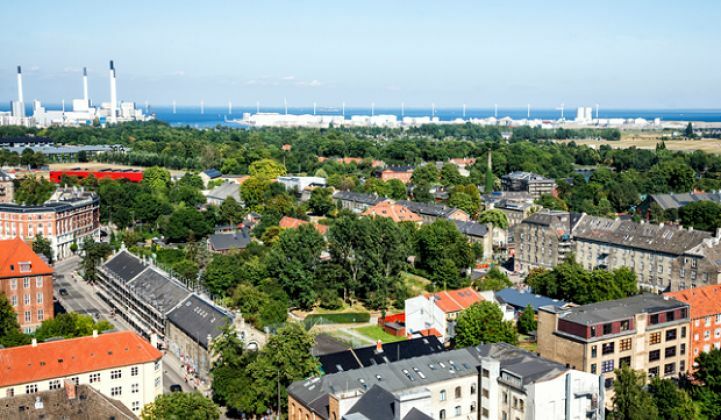 The consideration of energy storage has become a requisite in microgrid planning, and recent projects show that utilities can have their fast-ramping resource alongside renewables. GTM Research projects that by the end of 2016, renewable generation is expected to represent 15 percent of annually installed microgrid capacity, and it is primed for strong growth over the next four years. The microgrid has traditionally been a skeleton concept with no one-size-fits-all solution. A rise in multi-stakeholder ownership models illustrates that different institutions and communities can find their own value proposition, building on the microgrid together to create an attractive and mutually beneficial business case. 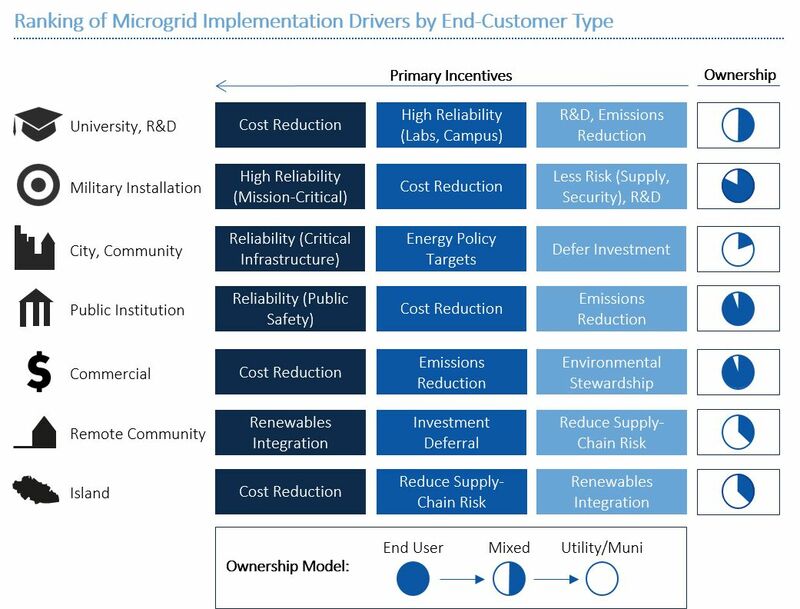 Find out more about our in-depth analysis of the microgrid market and our database detailing project-level data, including location, utility jurisdiction, end-user type, ownership structure, generation and storage capacity, vendor and developer details for 279 operational and planned microgrids by going here.